Calling All Men Out There. Try Pilates. We Dare You! If you think Pilates is just fir elegant dancers, flexible women and generally a really good stretch, then you are wrong! Pilates is an excellent strengthening exercise, with a stretching component of course, but it requires you to work many other muscles than if you were to weight lift at the gym (muscles you never even knew you had!). Pilates can be done either on a mat or a machine called the Reformer. Pilates is form of exercise that works your body’s core muscles (muscles in your midsection which include the abdomen, back, pelvic floor, etc..), while strengthening your whole body, increasing flexibility, endurance, coordination and even good posture (Bonus!). Doing Pilates exercises requires a concentrated effort where many muscle groups are engaging at once. So what makes Pilates different than working out at a gym? While strengthening your quads or your abs or any other bif muscles group, Pilates ensures that the work is literally coming from the inside out. So while you're working your bigger muscle groups, you're also working a bunch of tiny muscles that make the exercise that much harder! Think about holding a regular plank for a minute. With each second that passes, the plank inevitably gets harder. Now imagine that you are on a Reformer which is a moving platform so not only do you have to worry about keeping yourself in the plank but you are also on a moving surface which forces you to work your intrinsic muscles (check out our blog for more info). It isn't all that easy! With so much more to think about (and engage), PIlates becomes an excellent exercise for all the fitness buffs out there. Pilates was actually created by a man (Joseph Pilates) for soldiers! Joseph Pilates was a wrestler, body builder, gymnast and boxer. 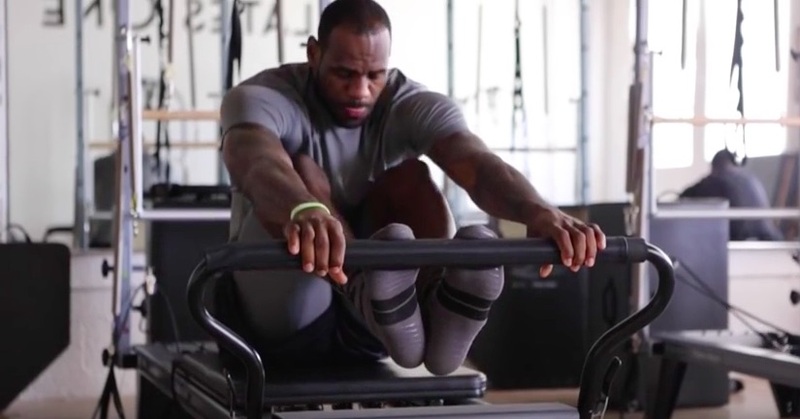 When you look at all the professional athletes out there (LeBron James, Auston Matthews, Tiger Woods, Sylvester Stallone, etc...) they all do Pilates to enhance their performance as well. So next time you think Pilates is easy, try one of our classes. We dare you! Check out our YouTube Channel for a video you can follow at home.